As an Executive Recruiter, Jackie draws on her background in collaborative, multidisciplinary research and evaluation to identify outstanding leaders. 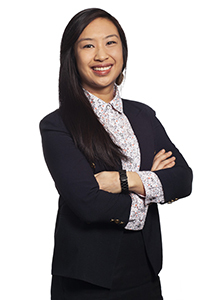 With a strategic, results-oriented approach, Jackie leverages her experience in academic, non-profit, and public sector work to create the best match between candidates and our clients. She holds a Masters in Global Health & Anthropology from the University of Edinburgh and undergraduate studies in Health Promotion, Biology & English from Dalhousie University. Jackie's natural curiosity paired with her education drives her desire to find optimal solutions for complex problems. Jackie is actively involved in the community with over a decade of volunteer leadership. She was recognized with an HRM Volunteer Award in 2011 and 2016 for her work with organizations such as Fusion Halifax, the Halifax Sexual Health Centre, SHINE Halifax, and the Nova Scotia Health Authority. In her free time, you can find Jackie adventuring in the outdoors, bouldering at her local climbing gym, enjoying live music and pursuing creative projects such as photography.